Some folks are just a wealth of knowledge. in a bowl will attract them, and they'll drown." Can you see the little corpses in the bottom of the jar? the house. Evidently moths are also drawn to the solution. were fluttering over the dead moths trying to get to it. than bug spray or tape. Thanks cor this tip! They come right threw my window screen! Got to try this! 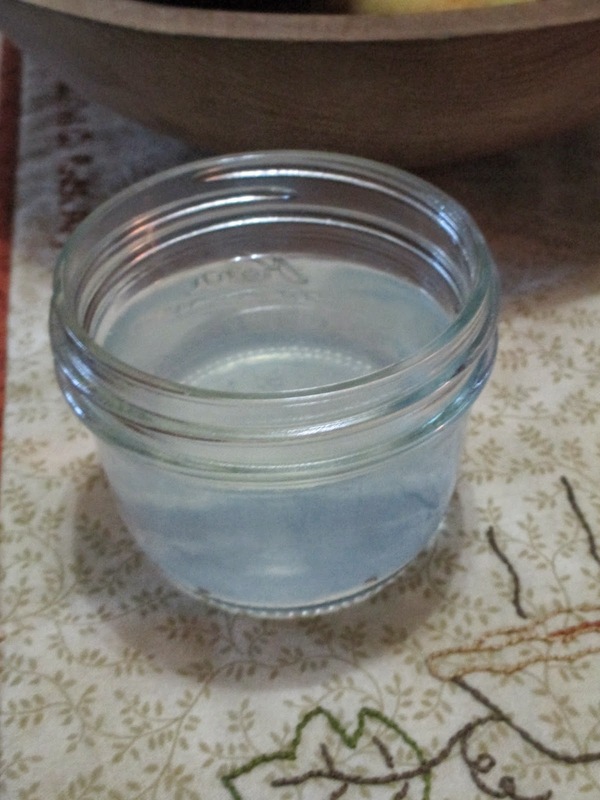 Another reader just left a message and said that she uses whatever dish soap she has and it seems to work- yippy. This works like a charm. I use apple cider vinegar as I think it attracts them even more. I also just use whatever dish soap I have on hand at the time. From my experience, it doesn't seem to make much of a difference as I have never used blue dawn and my bowls catch a ton of fruit flies. They were driving me crazy too for awhile. I used the paper cone method but like yours better if I can get it to work here. If you don't change the fruit every day, the cone method can actually grow more of them. I so agree those nasty fruit flies can drive you crazy but I also agree that your mixture works great. Thank you for sharing with the Clever Chicks Blog Hop! I hope you’ll join us again next week! Great to know! Great also that it doesn't have to be Dawn... I can use my yellow stuff! :) Gnats are definitely a problem in these parts!